Given today’s competitive hiring market and historically-low unemployment rate, it’s critical for employers put extra effort into attracting top talent. And with the recent news about Amazon raising its minimum wage to $15 an hour, many companies think pay is the top factor job seekers take into mind when it comes to the job search. To compete for quality employees, employers often include salary or signing bonus information right in the job title. But Hireology data has found that job titles with one to three words see apply rates of 7.6 percent and this number drops to only 2.9 percent when job titles have 16 words or more. And mentioning relocation or signing bonuses in the job title can cause your apply rates to be 1.5 percent lower. In addition to job titles that include pay information seeing lower apply rates, what might come as a surprise to some employers is that for most job seekers, pay isn’t at the top of their list when it comes to career move considerations. In fact, data from Harvard Business Review found that 60 percent of employees indicate that benefits and perks are a major factor when accepting a job offer, and 80 percent of employees would choose additional benefits over an increase in pay. Beyond pay, your team needs to think of compelling ways to attract top talent and keep them excited throughout your hiring process. Consider the following tips. Chances are you allocate budget each month toward job boards, with the goal of driving job seekers to apply to your open roles. But job boards only deliver 50 percent of the applicants you need to fill an open role, so it’s important to have a multi-channel recruitment marketing strategy that includes a strong career site. While some job seekers look to job boards and quickly click “apply” on many open roles, the most engaged applicants want to learn more about prospective employers, rather than simply reading a job description on a job board. These applicants tend to visit company websites in hopes of finding out more about the opportunities open roles present. To reach these engaged candidates, you need a dedicated careers page on your website. Your website should be search-engine optimized and mobile-friendly, so job seekers can easily find your website and apply to your open roles from either desktops or their mobile devices. Your career site should also include an overview of your company culture, benefits, long-term career opportunities, and more. When it comes to making career moves, today’s top job seekers are looking for much more than simply an exchange of time for money. Rather, one of the top factors top talent looks for in new roles today is a clearly defined career path and opportunities for long-term growth. Once you have a strong career site in place, it offers you a great opportunity to sell job seekers on the long-term career opportunities your team offers. For example, you might hire for entry-level sales staff who rise through the ranks to become vice presidents. Or you might have a great story to share about an administrative assistant who grew into an office manager role. Highlight all possible paths on your career site to encourage top talent to apply and help them understand the growth potential on your team. Highlighting your general career paths is a great way to start getting talent excited about the opportunities your team has to offer. But top employers take this a step further by sharing personal employee success stories and testimonials. On your career site, share feedback from employees – either written or via video – about why they enjoy working for your team. And promote success stories featuring employees who have grown in their careers with your team. Doing so will help job seekers understand that not only do you have defined career paths but your employees have had real-life experience succeeding on these paths. From the moment applicants apply, it’s key for your team to keep them engaged and motivated to join your team. Hireology data found the average business waits up to 10 days to review and respond to job applicants. In today’s competitive hiring market, if you wait this long to reply to applicants, chances are you’ll lose them to competing employers. On the other hand, by cutting down the time to review applicants, not only will you keep talent engaged, but you’ll fill roles sooner, boosting productivity and profitability at your business. 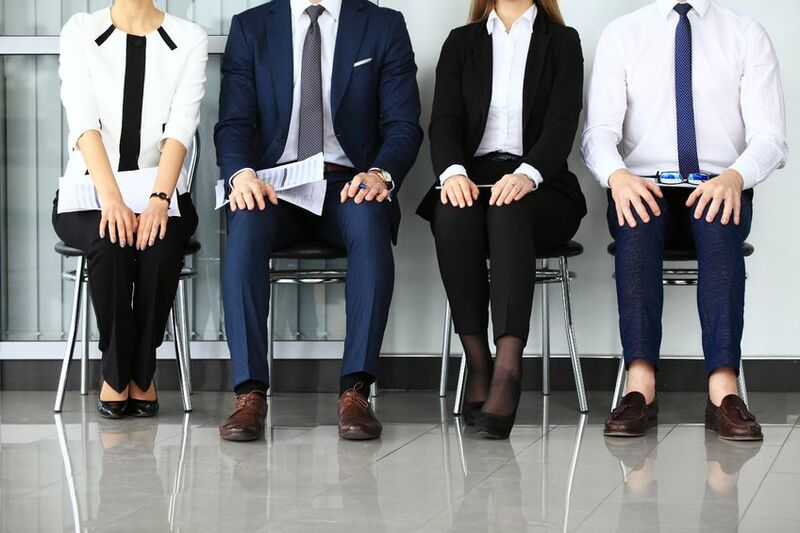 Beyond connecting with applicants in a timely manner, it’s key to keep candidates engaged throughout the entire hiring process. Doing so will help keep job seekers interested in joining your team, even if they’re already employed or looking into other job opportunities. To boost candidate engagement, outline each step of the hiring process so candidates know what to expect and when – and don’t leave candidates hanging between hiring steps. Once candidates have an understanding of the hiring steps, stay in constant communication throughout the entire process. One way to make candidate communication more efficient is through text messaging. Candidate text messaging is an impactful communication channel for both employers and job seekers and can streamline your candidate and new hire communication. As an added bonus, hiring managers who have used Hireology’s text messaging solution have decreased time to hire by 8 days, ultimately increasing productivity that’s typically lost when roles are open. In today’s tight labor market, attracting and hiring qualified candidates is more challenging than ever before. By following these tips, you can secure quality applicants before the competition.